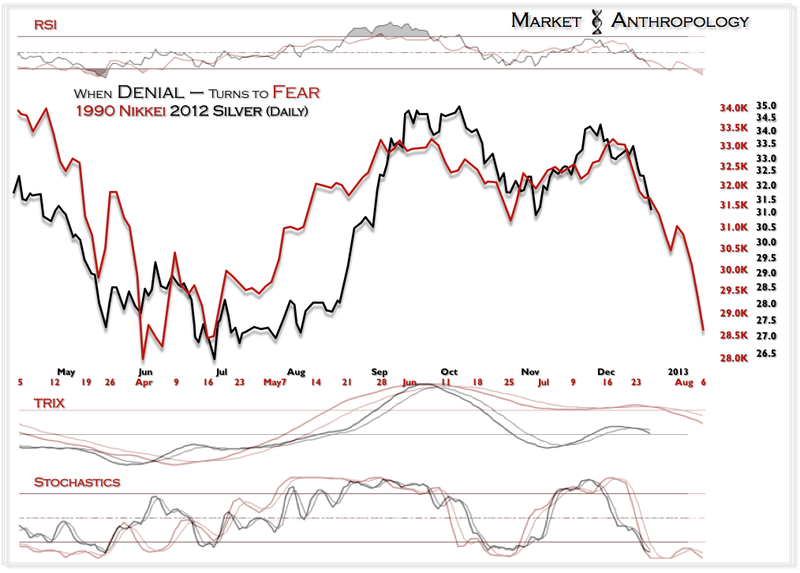 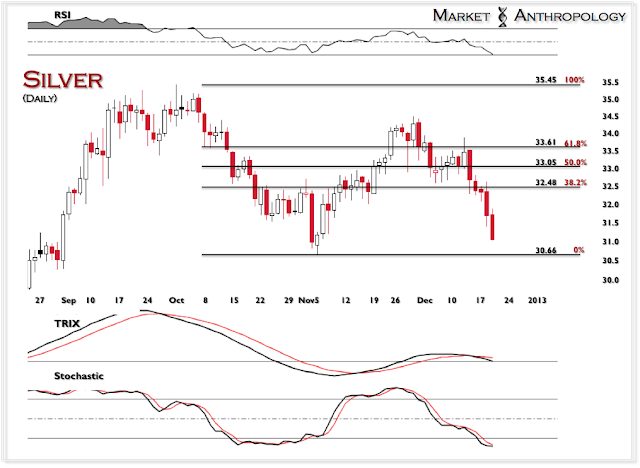 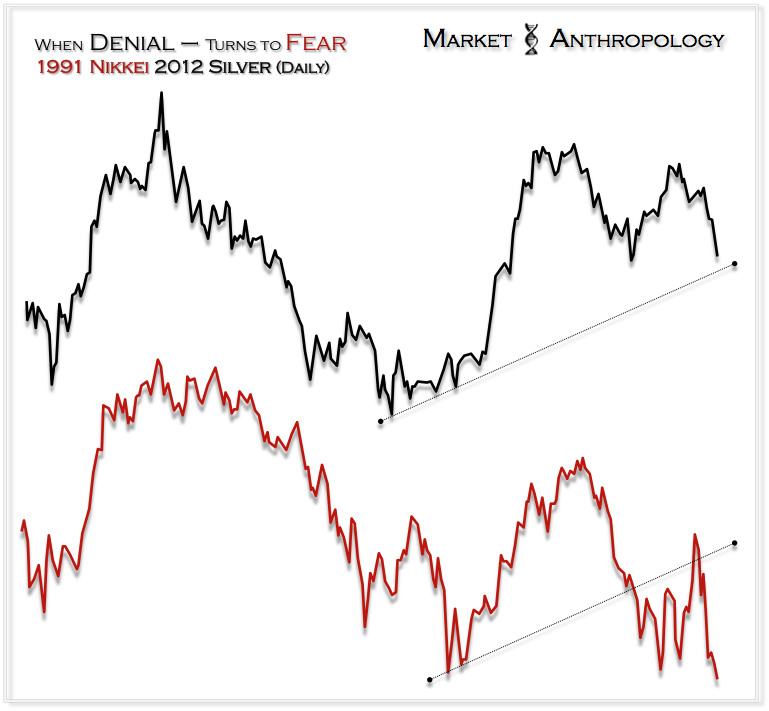 A few thoughts on silver - as the sector continues to flush. 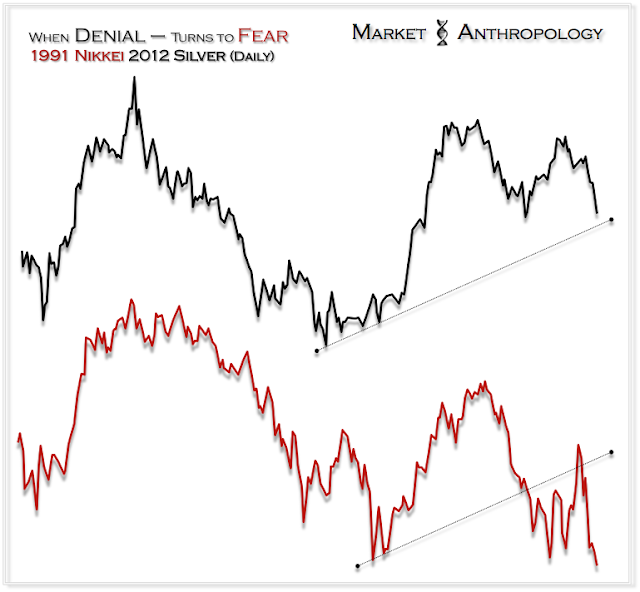 These charts were prepared last night, hence, they do not reflect today's large decline. 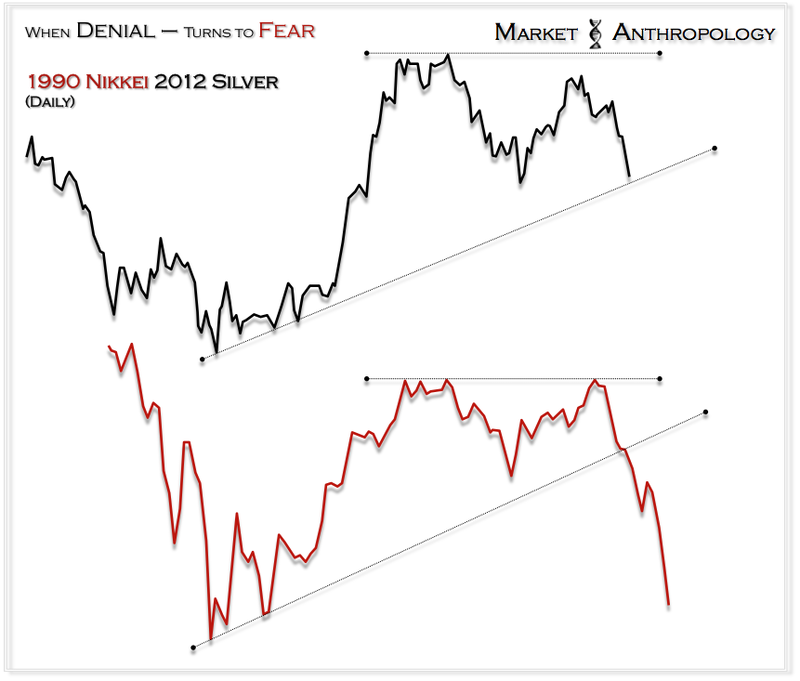 As of this morning, silver has broken the early November lows - completing the equal retracement move of this leg of the 91' Nikkei comparative. 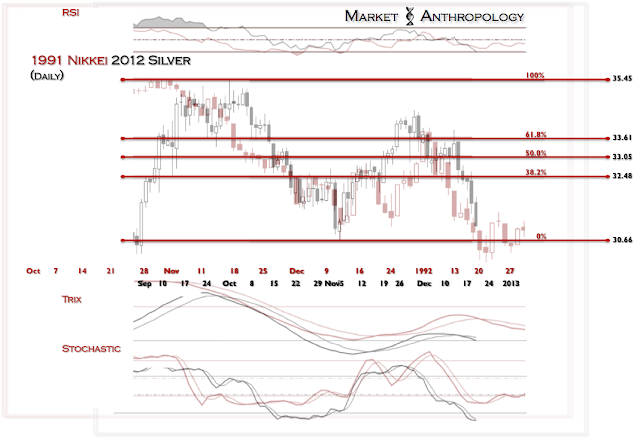 However, as you can see in the comparison of price structures below, silver is still considerably higher than the lows put in this past June, when I initially introduced the comparison in the Trilogy and recommended precious metals as a perspective long trade. As of this morning, the trend support from late June - which one could argue represents the psychological threshold of denial - has been broken. Because silver and its less emotional cousin - gold, had not confronted their more existential issues of purpose and value earlier, an upstream comparative to the Nikkei may be more appropriate through this window. 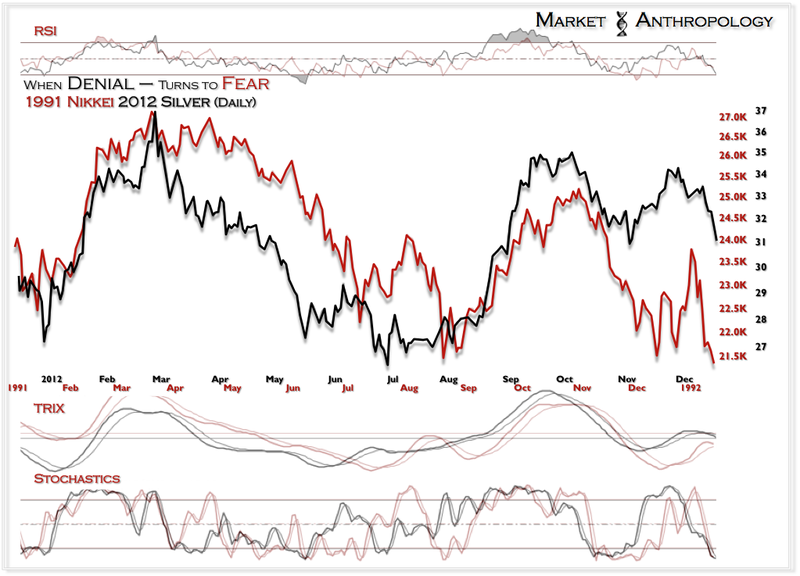 With that said, sentiment has eroded considerably as the market has grounded lower over the past several weeks, so - Stay Frosty.